PG Booster club meeting for tonight has been cancelled. Today’s softball game at Elkins has been cancelled. Prairie Grove School District would like to thank parents, citizens, and businesses who donated to support the Nightlock classroom security project. Because of your support, funding for this project is nearly complete. We are pleased to announce installation is already in progress as we work toward ensuring a safe and secure learning environment for all students. On behalf of our students and staff, we extend a sincere thank you! 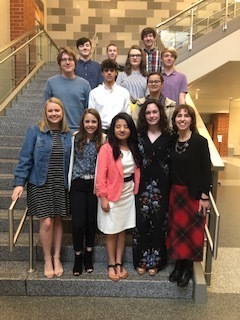 Congratulations to the High School ACE Team taking Second place in the Finals Competition this week! 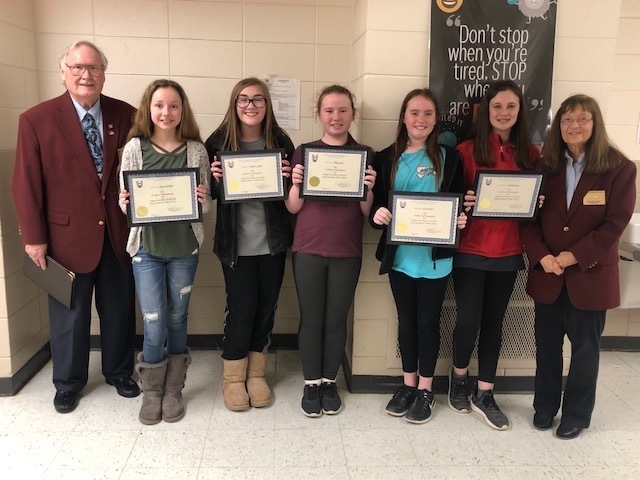 Congratulations on winning State with your video entry and essay for the Elks Club Drug Prevention Contest! 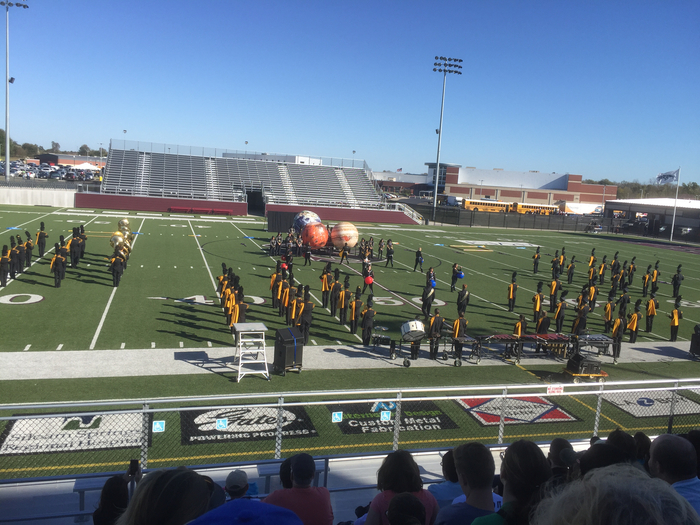 Good luck at Nationals! Today’s Baseball game in Siloam Springs has been cancelled. Today’s Jr high track meet at Elkins has been cancelled. Softball game on 3/12/19 at PG has been cancelled. School will be in session on Tuesday, March 5th. All Athletic events for PG today (3/4/19) have been cancelled. School will be closed on Monday, March 4th. 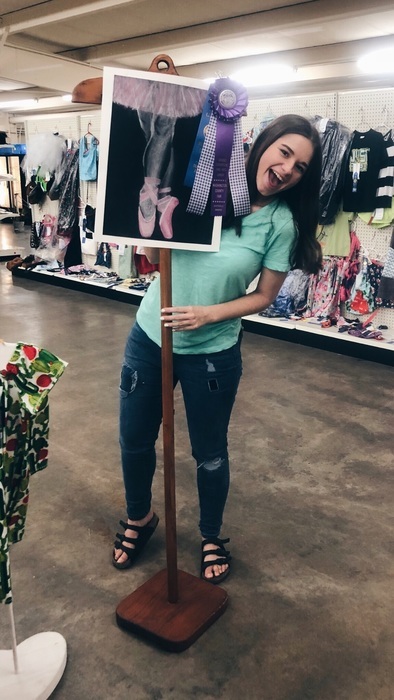 This is a reminder that if you want to purchase a senior recognition ad for the yearbook for your senior student the ad is due on Monday, March 4 to Mrs. Bartholomew. If you have any questions, you can call the high school office at 846-4212. All soccer games in PG tonight have been cancelled. Today’s Baseball game in Gentry has been cancelled. No Sr Boys JV tonight! Hall of Pride Ceremony will start at 6pm followed by Sr Girls and Sr Boys games. 7th grade basketball vs Elkins on Saturday 12/8/18 has been cancelled ..
Jr Girls Basketball will play at Siloam today at 4pm. Due to weather and safety concerns the Homecoming Parade has been cancelled. The ceremony will be in gym at 1pm. 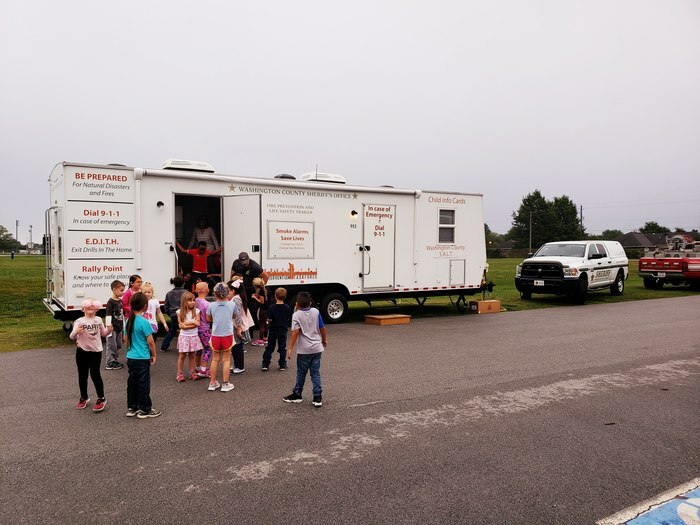 Our kids enjoyed learning about Fire Prevention and Safety at the Elementary school! Prairie Grove Schools flu immunization clinic will be held on Oct 10th. Elementary and Middle School students were given forms to take home. High School students or parents may pick up forms in the HS office. All forms need to be returned to the building nurse by Monday, Oct 8th. October Breakfast and Lunch Menus have been posted. On Wednesday (10/3/2018), Prairie Grove Schools will be conducting emergency response notifications from each of our school buildings. The goal of this test is to ensure district emergency notifications are working properly. Prairie Grove Police, as well as other agencies, will be onsite during this test. Earlier today, a middle school student made a verbal outburst during a time of frustration. Our school officials worked with law enforcement to safely resolve this lack of judgment and have taken all appropriate steps to ensure the safety of our students. Please understand that we are not at liberty to divulge any further details at this time. October 1st is the deadline to provide documentation for immunizations or turn in exemption paperwork. Students not up to date will not be able to attend school. If your student is not up to date you should have been notified by the nurse. Please provide proof of immunization or proof of appointment date to your building nurse. Annual Reports To the Public will be held at the following times: District - Monday, September 17th in the HS library at 6:00 Elementary - Monday, September 10th, in the ES cafeteria at 5:45 Middle School - Thursday, September 20th in the MS library at 7:00 High School - Tuesday, September 18th, in the HS library at 5:30 In case you miss any of these, the reports will be downloaded to the Prairie Grove School District website next week. Congrats to Josie Edwards on winning Grand Champion for the second year in a row at the Washington County Fair! VB game tonight vs Farmington will be played in the Arena. 2018-19 tickets prices for all home & away events will be $5.00 for adults & students. Season passes for home games are on sell in HS office. All Sports passes have been created and sent by requested delivery option. Please check with your student if you chose that option. Senior High FB scrimmage tomorrow night @ Van Buren will start at 6pm. Please be aware, over the next week crews will be resurfacing the parking lots at the High School. Take caution of any marker or barricaded areas. 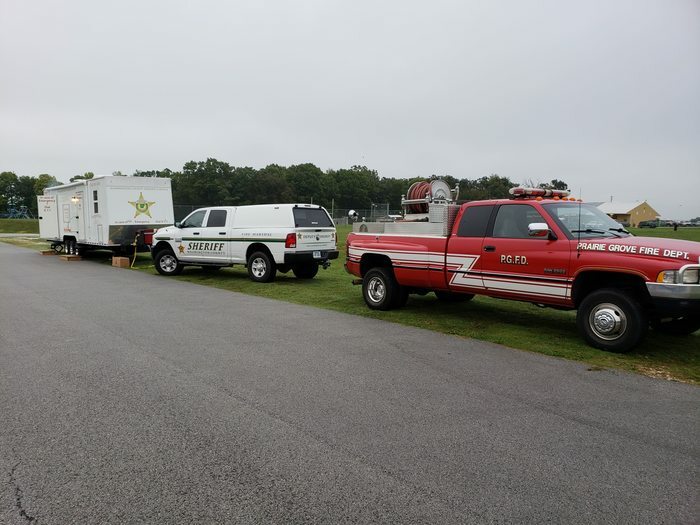 Parking will be located around the building depending on the location of the crews. Thank you for your cooperation! Athletic Passes are on sale at the Central Office. Hello Tiger fans! Reserved Seat and parking lot sales for the 2018 football season go on sale Tuesday, July 17 from 6:00-7:30 in the high school cafeteria. Thank you if you have renewed your seats. If you have never purchased seats before we hope to see you on Tuesday July 17th. Reminder that Athletic handbook forms need to be turned in by July 8th. 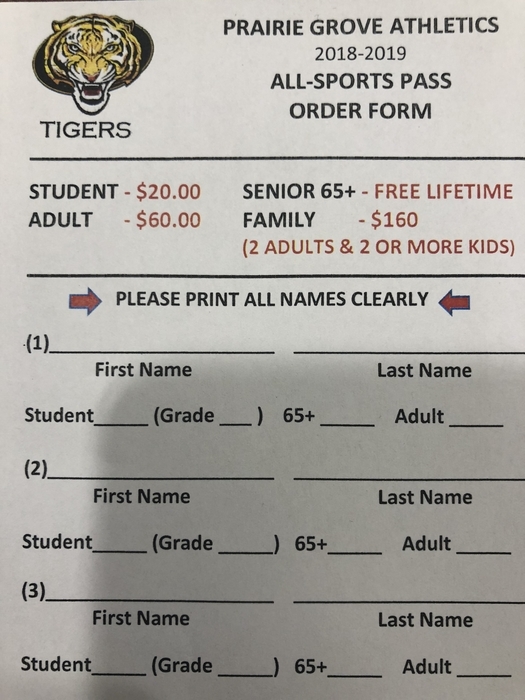 Forms are available on PGtigers.org. Parent Meeting handouts will be available on line Wednesday at pgtigers.org under athletic registration. The annual athletic parent and heat illness meeting for Grades 7 thru 12 will be tomorrow night at 6 pm in the Varsity Gym. PG Athletics-Annual mandatory Heat Illness and Parent Meeting will be June 19th in the HS gym @ 6pm. All required forms must be completed by July 7 for athletes to participate after dead weeks. PG Baseball will play tomorrow (5/5/18) at 12:30 in Farmington vs Booneville. Today’s Regional Baseball game @ Lincoln has been cancelled. PG Baseball will take on Pea Ridge today @12:30 in the 1-4A semi-finals in Lincoln. Softball will play in the district tournament tonight at 6pm in Lincoln. Baseball will play Friday at 7:30 in Lincoln. 7th grade Track meet for today at PeaRidge has been cancelled and rescheduled for Wednesday 4/4/18..
Today’s Sr Track meet at Siloam has been cancelled. Friday’s softball game with Siloam has been cancelled. Today’s baseball game at Shiloh has been cancelled. Today’s softball game with Elkins has been cancelled. All Prairie Grove athletic events for today (3/27/18) are cancelled. Today’s baseball game with Greenland will start at 4pm. Today’s softball game with Rogers Heritage will start at 5pm. Today’s Softball game with Siloam Springs has been cancelled. We will try to reschedule at a later date. Baseball game today at PG has been cancelled. School will be closed on Monday (February 12, 2018) due to ice. Tonight’s game w/ Pea Ridge has been postponed to Wednesday (2/7/18) @6pm. PG Basketball Senior Night tonight vs Lincoln. JV Boys start @5:30 followed by Sr Night ceremony around 6:15, Sr Girls and Boys game afterward. 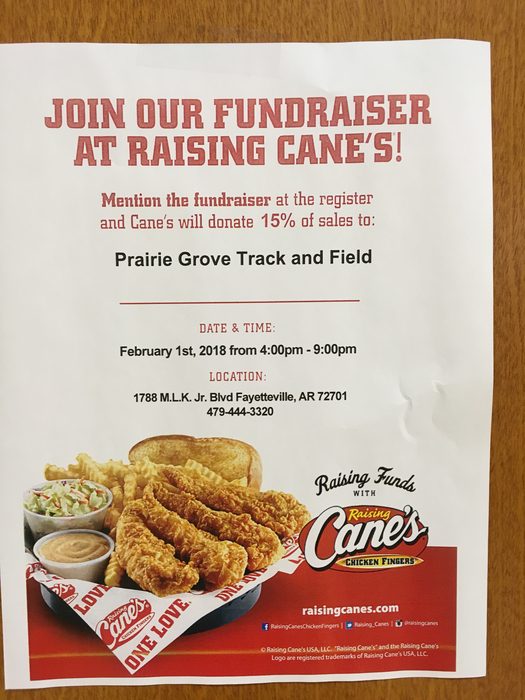 Come out and support our Track Program!! Tonights games vs Gravette will start at 5pm with 8th boys, 8th grade girls, jr girls, jr boys. All games will be in Arena. Friday’s basketball games with Elkins will start ar 5:30pm with SR Boys JV, Colors Day Ceremony, Sr Boys, Sr Girls games. High School Football Banquet will be Saturday, January 27th at 5:00 in the HS cafeteria. A meal will be served. Parents are asked to bring a dessert. As of January 15th all School Board Meetings will be held the Prairie Grove High School Library. Tonight’s game at Gravette will begin @5:30 with JV B, SG, SB. December Lunch Menus have been posted. Tonight’s BB game w/ Haas Hall has been postponed until 12/6/17 @ 6pm in PG. Playoff tickets will be on sale tomorrow. Tickets are $6 & Only AAA passes will be accepted. We are currently working to resolve a phone issue that affects all buildings. We will post an update as soon as possible. Congratulations to Vanessa Orr for being chosen as Teacher of the Year by Prairie Grove Arvest Bank! This Friday’s playoff football game admission prices is $6.00 for adults and students. Only AAA passes will be accepted. Tickets will go on sale as soon as we recieve them. Congrats!! to the Sr Boys for finishing 6th and Sr Girls finishing 5th in the State XC Meet. Congrats to the 9-1 overall, 7-0 undefeated conference champs!!!! PG Jr Tigers!! Prairie Grove High School will be hosting the 4A-1 Conference Cross Country meet on Tuesday, October 24th. Because of the meet, the high school will dismiss at 2:30 on Tuesday and the buses will pick up high school students at 2:45. The elementary and the middle school will remain on their regular schedule. Please note that there will be no students shuttled to the high school, on Tuesday, from the other campuses. ‪Win tonight by 7th FB, Jr VB & FB, and SR VB! #GO TIGERS! Congratulations to the PG Sr High Cross Country teams for taking 1st place today at the Shiloh meet. Congratulations to the PG Boys and Girls Golf team for winning their match today!! Jr FB benefit scrimmage game Thursday, Aug 24th @ 7pm. Admission is $4.00. Only AAA passes will be accepted. JR and Sr Volleyball game vs Valley Springs tonight at 4:30pm Admission is $5 for adults and $3 for students. Athletic passes will be accepted. Mandatory parent/player baseball meeting Friday aug 25th 6:00pm in the volleyball gym. Today's HS golf match has been cancelled. The PG vs Farmington Football game will be played on TUESDAY Aug 29 @7pm in Farmington. All sports passes are now on sale at the PG Central office M-F from 7:30-3:30 . Adult is $60 Student is $20. Ages 65 and older are eligible for a lifetime pass. Reminder of the Athletic Parent meeting for grades 7-12 on Thursday, July 27th at 6pm in the HS gym. Tonight's Regular Board Meeting has been postponed until next Monday, July 31st. There will be a meeting for any student grades 9-12 interested in playing golf on Friday July 28th @6pm at Valley View Golf Club. Parents — You and your students are invited for a free lunch, free school supplies and free back-to-school haircuts plus games and information your family can use. Saturday, July 29, from 11 a.m. to 2 p.m., at Prairie Grove Elementary School, sponsored by Altrusa International of Washington County. There will be a mandatory parent meeting for all athletes in grades 7-12 on Thursday, July 27th at 6pm in the HS gym. The Powderpuff game is today at the football field. The ceremony begins at 6:00pm with the game immediately following. Admission is $2.00. Students wearing their 2017 Powderpuff shirts get in free. 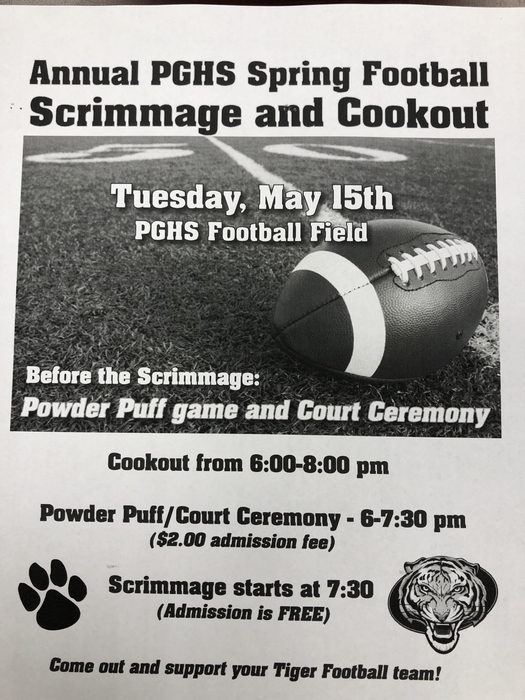 The booster club will also have BBQ dinners available at the concession stand starting around 6:00pm, and the spring football game will take place after the Powderpuff game. Prairie Grove will resume all regular Bus Routes. Reminder: there will be a Project Graduation meeting tonight at 6:30 in the high school cafeteria. Buses will resume regular routes with the exception of Bus 44 on Orr Rd. Congratulations to Bekah Bostian 1st Place 3200m 2017 State Track Meet! 2 years in a row. We will attempt to run standard bus routes starting this afternoon except for: Robinson Rd, Orr Rd, Rocky Hill, Baker Mtn, Kettle Springs, & Cove Creek until further notice. There will be a Class of 2017 parent meeting on 05/10/17 at 6:30 pm in the High School cafeteria. We will be planning the senior breakfast and project graduation. This will be our last meeting. Please try to attend. Buses 41 and 42 will run pavement only, all other buses will run Inclement Weather Routes until further notice. Pgtigers.org under Transportation. Buses 41 and 42 will run pavement only, all other buses will run Inclement Weather Routes until further notice. Prairie Grove Schools will be running Inclement Weather Bus routes until further notice, due to storm damage. School is in session as normal today. The weather is being monitored, and we will send a notification if anything changes. Due to heavy rainfall, some bus routes cannot be completed this morning. If you have questions, please contact your building office. Special Board Meeting tonight at 6PM in the Board Room. There will be a Class of 2017 parent meeting on Thursday, April 20 at 6:30 pm in the High School Cafeteria. Will be discussing project graduation and senior breakfast. Please make every effort to attend, we have a lot to plan and will need the help! Prairie Grove Elementary will be having Kindergarten and Pre-K registration tomorrow from 12-6. Please call the Elementary Office for more information 846-4210. Reminder: No school for students on Friday, March 17, 2017. There will be a teacher training day that day. Spring Break will be March 20 - 24. School will resume Monday, March 27, 2017. There will be a Class of 2017 Project Graduation meeting Tuesday, March 7 in the high school cafeteria. We will be finalizing details for the Chicken Dinner. Please make every attempt to come. The Prairie Grove Health and Wellness Committee would like to invite you to the "In The Know" Community Drug and Alcohol Forum, Thursday Feb. 23 at 6:00 pm in the PG High School Cafeteria. IT'S TIME FOR SUMMER BASEBALL AND SOFTBALL SIGN-UPS! Sign up dates are February 9 and 16 from 5:00pm-7:30pm & Sat February 18, 9:00am-12:00pm at City Hall. Or stop buy city hall anytime before February 18th and sign up. If it is the first time a child has played in the City League we will need a copy of their birth certificate. Children must be a minimum of 5 years old by June 1st to participate. Attention seniors. There will be a project graduation meeting at 6:00 pm in the high school cafeteria this Thursday, February 9th. Please make plans to attend. There will be a project graduation meeting on Thursday, January 26 at 6:00 pm in the high school cafeteria. Please try to attend. We need to plan senior breakfast and project graduation. PGSD Track program will be selling Krispy Kreme donuts for $10/dozen during all 4 games of Colors Day next Friday to raise money for the program! School will be in session on Monday, January 16, 2017 as a snow makeup day. Today's (Jan 7th) Basketball games have been postponed to Wednesday Jan 11th. Tonight's basketball games have been canceled. There will be 2 Varsity games tomorrow @ 2PM, weather permitting. School will be closed on Friday, January 6, 2017 due to weather. Due to an issue with their gym, tonight's Jr. High games have been moved from Decatur to Prairie Grove and will begin at 6:00 pm. Our soccer program is having a Pancake Breakfast fundraiser on Saturday, December 3rd from 8:30am-11:00am at PGHS Cafeteria. There will be a pancake and waffle bar along with eggs, sausage and bacon! All proceeds go towards our soccer program. Tickets are $5 and can be purchased from any soccer player, Coach Chandler, Coach Walker or Coach Mitchell. Prairie Grove Football Playoff tickets are available in the High School Office From 11/16-18 $6/Ticket. Only AAA Passes will be accepted. Prairie Grove Elementary School Presents: Hats! The Prairie Grove High School student council is sponsoring a blood drive with Community Blood Center of the Ozarks Wednesday October 12 in the High School library from 8 AM to 2 PM. Blood supplies are critically low and all donors will receive a t-shirt. Drop-in's are welcome. Congratulations Coach Mitchell, Mary Rush, and Emily Smith! 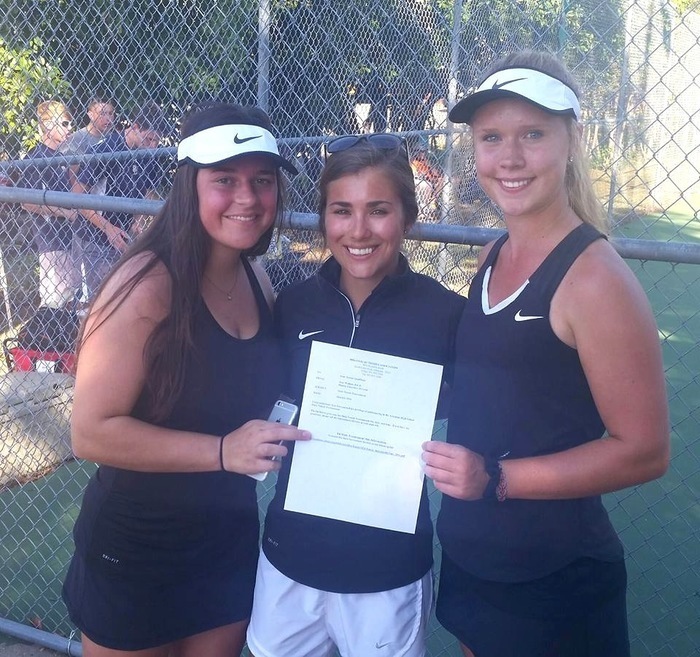 Going to State for tennis! Senior parents & students. There will be a project graduation meeting on 8/30/16 @ 6:00 pm in the High School Cafeteria. We will be discussing fundraising and location for project graduation. Reserved seats and parking passes are still available for all home Sr High football games. Contact Doug Smith at 479-790-2437 or Spirit Shop located in the concession stand at home Varsity games. A booth will be at the Black/Gold game this Thursday, Aug 18th for All Sports Pass Sales. Cost will be $60 / Adults, $20 / Students & FREE for Seniors 65 & Older. Cash/Check only. No cards. Welcome back students! The first day of school has started! Go Tigers! MS open house will be on Aug 11th at 6:00. We will start with a welcome in the cafeteria for new students/parents and then we will dismiss to allow all those who would like to tour the campus on your own. Schedules will be available both online in HAC or a printed copy will be handed out that night. 5th and 6th grade schedules will be in the hallway outside the cafeteria and 7th and 8th will be in the Math and Science building. If you can not attend, you may check your HAC on the 11th to view your schedule. Don't forget the first day of school is August 15th! Welcome to our new District website and App! Pre-K Registration is still open! Congrats to Odyssey of the Mind - 1st Place Regionals and 2nd Place State! Praire Grove Elementary 2016 Kindergarten Registration - Thursday, April 21, 2016 12:00-6:00PM. More info under "Documents". Parents/students who need assistance with home internet costs, http://goo.gl/XZCGG3 , PGTelco & Cox can help.